Royal Mail's in, Croda International is out. And Carpetright has been demoted to the FTSE's Conference league. The FTSE is about to go through its most exciting quarterly reshuffle for ages, as members of the old guard are pushed out by the raft of companies that floated over the summer. The most significant new addition is Royal Mail, which whizzes straight into the FTSE 100, bypassing the FTSE 250 altogether. That means Moya Greene, its chief executive, becomes the fourth boss in the FTSE 100’s lady club. Shame Angela Ahrendts swapped macs for Macs in November, or there would have been a record-breaking five. 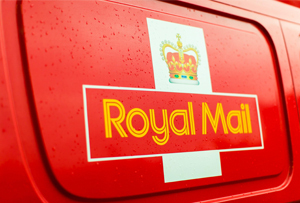 As a side note, promotion to the FTSE 100 is likely to send shares in the Royal Mail up even more as pension funds – many of which are obliged to invest in FTSE 100 firms – buy up shares. Exactly what Vince Cable, who masterminded its privatisation, could do without at the moment. In return, Croda International (a big winner at MT’s Britain’s Most Admired Companies awards) and Vedanta Resources are bumped down into the FTSE 250. Meanwhile, competition has hotted up for a place in the FTSE 250. New entrants include recently-floated theme park operator and owner of Madame Tussaud's Merlin (which, we hope, will immortalise FTSE chief exec Mark Makepeace in wax to say thank you) and equally-recently-floated estate agent Foxtons, as well as Carphone Warehouse, JD Sports, Riverstone Energy and Grafton Group. Among those enduring the embarrassment of being demoted to the Small Cap Index (the FTSE’s very own Conference league) are Carpetright, Hochschild Mining, Chemring Group, Dialight and the Schroder Asia Pacific Fund. Greene isn’t the only woman celebrating a big win in business this morning: yesterday, General Motors lifer Mary Barra was named as the company’s first female chief executive. What’s interesting is Barra’s background, which lies in engineering – a change from GM’s traditional preference for bosses with experience in the finance sector. Presumably, it’s a reaction to the fact that the company is now profitable for the first time since its government bailout in 2008. This week, the US government sold its final stake in the firm (albeit for a $10.5bn loss). Whether Barra celebrated in classic car industry style with a shaken-up magnum of champagne isn’t clear – but she did say yesterday that she planned to ‘keep our momentum at full speed’. Foot on the gas, as they say in the US.